Great location on main street in Tanunda. Close to everything. Squeaky clean, comfortable, very pleasant stay, good wifi. Quite spacious rooms. Loved the house, the lead light windows, comfy bed, comfy couches. Location was about all this place had going for it. Lovely spacious apartment, in good location for visiting Barossa. The house was warm & welcoming. Extremely peaceful & relaxing. The location was central to walk around town. The presentation of the house and facilities were above what we expected. I couldnot reccommend a stay here high enough. The house was well appoinyed and the location was great. Lock in a great price for Barossa Best – rated 8.7 by recent guests! 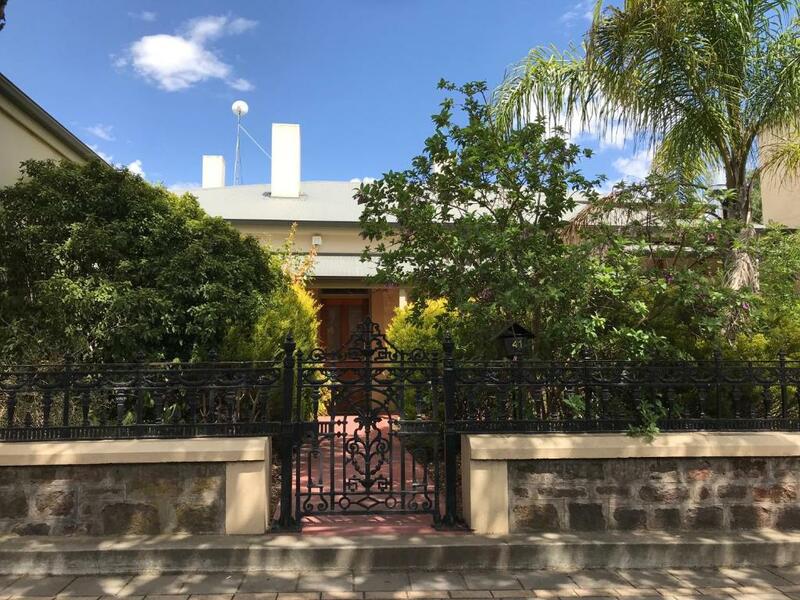 Barossa Best This rating is a reflection of how the property compares to the industry standard when it comes to price, facilities and services available. It's based on a self-evaluation by the property. Use this rating to help choose your stay! One of our best sellers in Tanunda! Nestled within lovely gardens, this restored 1856 2-bedroom cottage features free parking. Barossa Best is ideally located for visiting the many nearby wineries. Free WiFi is provided. The pet-friendly Barossa Best Cottage features leadlight windows, a kitchenette, and a courtyard. The lounge area offers a plasma-screen TV, a sofa and a dining setting. You can enjoy an outdoor meal using the BBQ facilities. Free private parking is available on site. Adelaide Airport is 37 mi away. When would you like to stay at Barossa Best? This air-conditioned holiday home features a kitchenette, a courtyard and leadlight windows. Free WiFi is provided. House Rules Barossa Best takes special requests – add in the next step! Barossa Best accepts these cards and reserves the right to temporarily hold an amount prior to arrival. Please inform Barossa Best of your expected arrival time in advance. You can use the Special Requests box when booking, or contact the property directly using the contact details in your confirmation. A washing machine would have been handy, as would some grass out the back for our dog to roll in! Barossa Best or better Barossa Worst is a place I never would recommend to other travelers. This dark and old apartment is equipped with old furniture, partly destroyed dishes . An electric cooker with two plattes, one is working the other one sometimes yes sometimes no. The whole apartment is dirty, in the bed there a probably bed bugs ( my wife got more than 40 bites during the night. The old floorboards creak with each step. You can listen to each word spoken in the apartment beside ‘Barossa Best’ there is absolutely no isolation. That mean the neighbor can also listen what are talking. All this items are beaten by the service. Toilet paper, if it’s off, there will be no replacements same with trash bags. I asked for a print out of a voucher, they advised me, that I have to go to the City Information 400m away, they will do this. There was nothing we felt needed doing better. Only thing that I questioned was placement of microwave on top of fridge. Very difficult and danger of burning oneself when removing hot food for people short like me. Would have been nice to have shampoo / conditioner in the little bottles like you usually get in motels etc. Probably wouldn't recommend it for a dog as the back yard had no lawn.